Targeted solutions for medium to deep wrinkles, sagging, dryness, and thinning skin. Studies show skin loses up to thirty-percent of its firming collagen in the first five years after menopause. As estrogen levels drop, the body’s ability to produce collagen decreases. This type of aging, Hormonal Aging, can leave you with loose skin and wrinkles. Murad Resurgence products are specifically designed to combat the impact of Hormonal Aging and can give you firmer, youthful skin even as collagen production decreases. "My skin looks better now than it has in 10 years." What Makes Resurgence So Effective? The all-new Resurgence regime is even more effective with the power of the Ressurrection Plant! 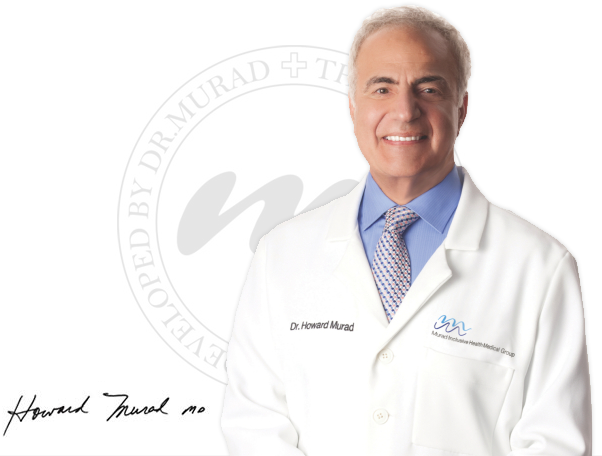 Over four decades, Dr. Murad has refined his recipe time and time again in order to help people enjoy healthier, more beautiful skin. With antioxidants, hydrators, anti-inflammatories and now the Ressurrection Plant, you have to experience Resurgence! "I can't think of a more rewarding life than being able to help people look younger, feel healtherier, and live happier." "I started getting compliments right away with Resurgence." "I can't stop talking about Resurgence — I have a glow to my skin. So many people have complimented me." "I have seen a dramatic improvement in my face." Look younger, feel healthier, and be happier.